Hi Ladies! Today I thought I would do a slightly different post, in that it has nothing to do with beauty products/fashion, etc. I know that some people will think 'why is she giving out blogging advice?' when I only started my blog about 3 months ago and I'm in no way a 'big' blog and I haven't got thousands of followers, but I personally would have loved someone to tell me a little bit about blogging before I started and then maybe I would be a little more successful! When I started my blog back in March it was a very spontaneous decision and thinking about it now, I wish I had thought about it a little more and given myself time to research things like html and layouts, etc! I started a blog while I was avoiding doing Uni work so I just kind of jumped straight in and found myself clueless trying to find my way around blogger so these are just a few hints and tips for starting a blog and hopefully it will help some of you because I've had a few people asking me various questions, so I hope this helps! I actually wanted to name my blog 'all that glitters' because I love glittery things and I think the saying relates well to doing beauty product reviews and seeing if things really do live up to the hype, but unfortunately for me, that name had already been taken! So I thought about two beauty things I really love as I knew it would be a beauty blog and came up with Lipgloss and Lashes! I think when naming your blog, you should think about something that relates to you or what you are blogging about, that way its easy for people to know what your blog is about straight away and it's a bit more personal and feels more 'you'. I would also say its important to consider the length of your name and how easy it is to pronounce - blogs with really long names which don't exactly roll off the tongue aren't as memorable as short punchy names. When I first started my blog, I was clueless with layouts! I had no idea what a html code even was as I had never done anything like this before and it usually takes me a while to get the hang of technology things. I saw that a lot of other bloggers had paid to get their blogs designed, and don't get me wrong, they're beautiful but I don't think its completely necessary. I didn't really have the money at the time to get my blog designed and I wanted to do it myself as a little project because I find design really fun and interesting! At first I just used the blogger templates and customised them and my blog looked alright but I wasn't completely happy with it so off I went to Google I typed in 'free blogger templates' and thousands came up, there are loads of websites out there that have free templates which are really pretty, one which I love is The Darling Blog. I used the 'pink cupcake' design and then customised it on the blogger template designer to make it more my own, they also offer loads of free things like fonts, social media buttons, etc so its really worth checking out. Social media is a must if you want your blog to actually be read! At first I was wondering why nobody was reading my blog but other blogs were getting loads of readers, well it was because I hadn't used my twitter to let people know about my blog! I think twitter is the most important social media platform to use when blogging personally, it allows you to use hash-tags such as #bbloggers #fbloggers and #fblchat which will help your blog get notice, other bloggers will search these hashtags and see your link and maybe they will give it a read. I think taking part in the #bbloggers chats is SO Important too, I never knew what these were when I started blogging but now I do I always take part when I can. Every Sunday and Wednesday there will be a #bbloggers chat with a specific topic which allows you to share your views, chat to other bloggers and share your links at the end of the chat. Adding Google analytics to your blog is also so important. I never did this until last week and I wish I had, you may not see your blog going anywhere but you never know! PR companies and blog awards will want to know your unique users and stats which aren't available on the blogger stats page so add it early on so you've always got information! Another point to make is that it's vital that you sign up to sites like Bloglovin'. Since all the hoo-ha about GFC and weather its going or not, many bloggers have turned to Bloglovin' to read and follow their favourite blogs, so If you don't have a profile then you may be missing out. Social media buttons on your blog is also a great idea, you can get these free on the internet and they usually come with guides on how to set them up. They allow users to find you on twitter, instagram, bloglovin' etc easily without having to go on a contact page and your readers may want to tweet you a question so its easier for them if they just have to click on one button! This is a bit of a controversial topic and one which many blogger miss out in their advice posts because blogging is not about how many followers you have, nor is it a popularity contest, but it is nice to know that people like your blog enough to follow it and read it regularly. This is what most of my questions have been about so far so I think its important that I address this topic. There is no one way to get 'loads of followers' but getting your blog out there using social media, as I just mentioned, can never hurt. If nobody knows about your blog then nobody will follow it! Most of my followers have been gained by leaving my link during the #bbloggers chats and interacting with other bloggers on twitter, I think if I hadn't of done this then a lot of the people who tell me that they love my blog would have never heard of it! Another really important but maybe obvious point to make about gaining followers is to add the follow button to your blog. It may seem silly but for at least a month and a half I had no idea why nobody was following me, when I realized my blog didn't have a follow button on the side. You need to add the GFC widget to your side bar yourself, it doesn't come standard with the blog templates, and also make sure to add a 'follow this blog with bloglovin' link to your sidebar too incase your readers prefer to use bloglovin. Now, I'm no photographer, but I do know that it is important to use clear photos on your blog, a lot of blog readers look to the photos first rather than your actual description so clear photos of what the product actually looks like is a must! Also, taking photos of swatches of the products is really important. If you read any of my earlier posts you'll know that I didn't do this to start off with but now I realize its really what the readers are looking for, as much as you rave about the product if you don't swatch it your readers won't know what it really looks like on, and a lot of products look different on than they do in the pan! Photo editing is really important too, I don't mean editing them until they don't even look like they're the same colour anymore but adjusting the brightness and exposure slightly can help to make the product stand out a bit more. I also add titles, etc to my pictures when I edit them to make them look pretty and make my blog post look a little more interesting, I use ipiccy and picmonkey to do this and they're so simple to use if your not very experienced like me! Another important point to make here is that you do not NEED a DSLR camera if you want a successful blog, I appreciate that they do take lovely photos and I would personally love one but I don't use one now for my blog and I still get people telling me that they love my photos. In fact, the camera I use was free from the Holiday Inn so its really nothing special, it can take some time to get good photos sometimes but that's just a sacrifice I've had to make! I don't think its worth buying a DSLR if your just starting out because who knows if you will even like blogging, you may decide its not for you after forking out £400 for a camera and its also not worth it if your not committed to learning how to use all of the settings. My main piece of advice in regards to content would be to write about something your passionate about, there's no point blogging about beauty when what you really love is music, because blogging does take a lot of time and effort and if your not passionate about it, you won't be motivated to keep it up and your posts won't be as great as they could be. I also think that changing your content up a bit is a good idea, like doing 'tags' so your blog isn't just product reviews, as not all readers are interested in just product reviews. Planning posts is also really important when you start a blog. I find it helpful to make a list of all the post ideas I've come up with so when I'm having an off day I can look at the list and do one of those posts. Scheduling pots is also a great idea, like I said, blogging takes time and effort and I know its hard to find the time sometimes with school, Uni or a full time job so pick a day to sit down and write a few posts and schedule them to go live throughout the week/month so when you don't have time, your readers still have something to read. That goes for taking photos too, take them in bulk so you always have photos ready if you have a half an hour spare to do a blog post. 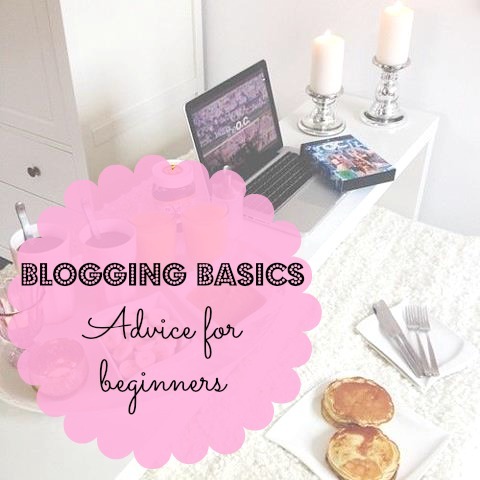 So, they're you have it, my advice for those who are thinking of starting a blog or have recently started a blog! I really hope this was helpful, if you thought it was (or wasn't) I'd love to know so please comment in the box below or just tweet me @RDerbyshire93 as I always love reading your comments. Also, while I've got you here, it would mean the world to me if you could nominate me for 'Best New Beauty Blog' in the Cosmo Blog awads, I really expect to get nowhere with these awards, but its worth a try! Thanks for sharing so useful for us newbies!! This is a great post. I think people can really make some amazing designs when it comes to how their blog looks without having to go to someone. Of course i look at some and envy their blog because it looks bloody amazing but i'm no expert but i did my blog on my own and i'm pretty proud, yours looks amazing too. I never go off followers, i'm just short of 120 and have been blogging since July, but i get loads more views then i do have followers and that's what matters to me because it means somebodies reading it lol. I only recently got twitter though but i still don't spend a lot of time on it really. Thanks for the amazing tips though i really enjoyed reading it great post. Lovely post. I only started blogging at the beginning of the year and I totally agree with everything you've said. Especially about the #bbloggers - there's like this hidden community that I knew absolutely nothing about before starting a blog!! Looks like you're doing really well with your blog after only a couple of months. Well done! Lovely blogging tips, very useful :) social media for me is a must! I'm so pleased I found this post... Been trying for ages to work out how people have been putting the pink watermarked titles in their photos like you have... Just wish I could use picmonkey or ipiccy on my ipad!! I love this post so much! It is so helpful thank you lots! Thank you for taking the time to write this post! 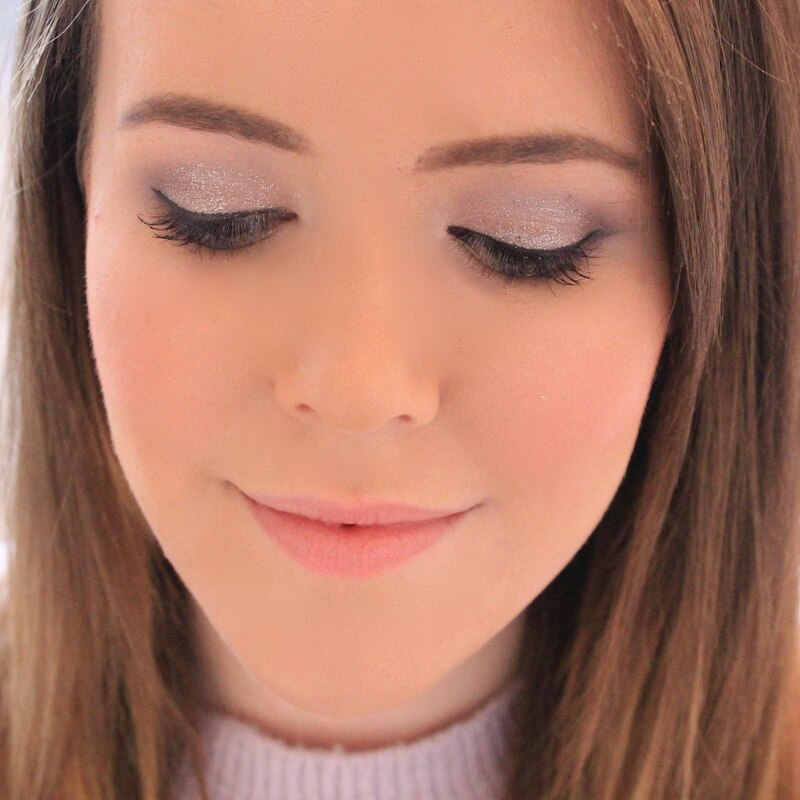 I can't believe you only just started Lipgloss and Lashes in March, it looks so much more developed :) You mentioned you are #bbloggers chat ninja, well, I found your blog via the chat! This post was really helpful, I only started blogging in January. I really need to go on Twitter more! Thanks!